A fresh sweet tea with a taste of walnuts and wood. In the fragrance you can also smell a hint of walnuts, straw and antique wood. 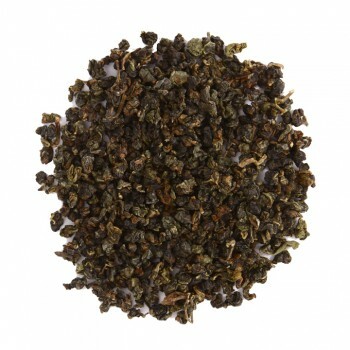 This relatively young Pu Er has a kind of ripeness, which is so characteristic of vintage tea. 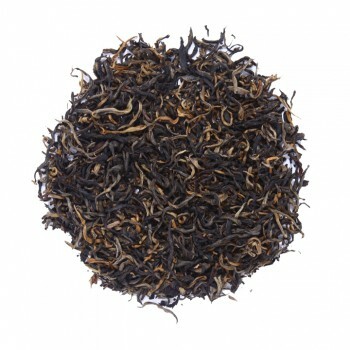 The Pu Er 1997 is a black vintage tea from China. It is grown on a plantation in the province of Yunnan. 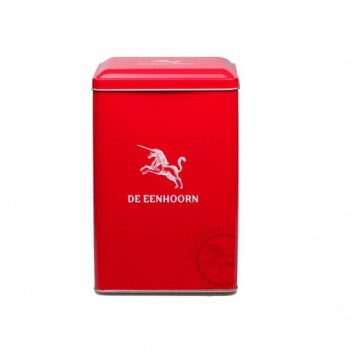 Here it is grown according to traditional methods and especially selected by Madame Tseng for De Eenhoorn. A vintage tea is a black tea that is fully fermented and has to ripe for a long time. The leaves of this tea were picked in 1997. After picking, the leaves are dried in the air to extract most moisture. This is called withering. If the leaves are flexible enough to be processed, they are rolled by hand to start the oxidation process. The leaves have to ferment for a few hours and then are baked in convection ovens. In the end, the tea is stored in jars for a number of years to continue to mature.